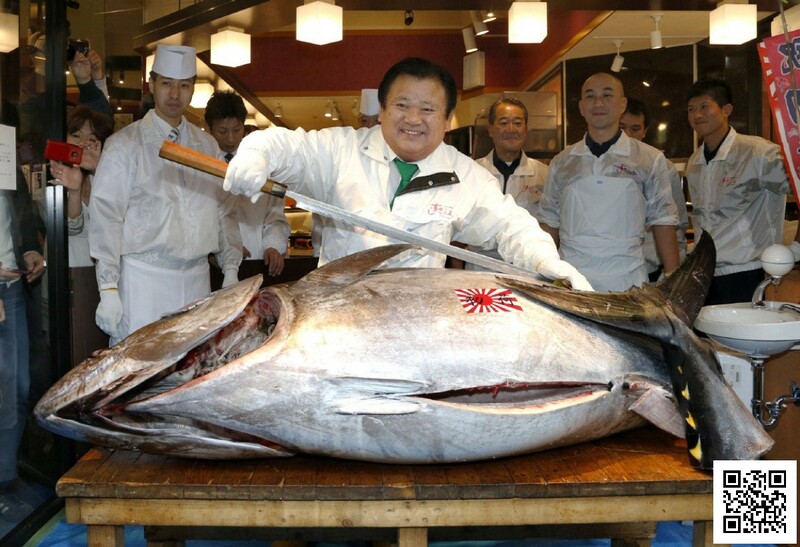 A sushi chain boss paid $632,000 for a 466-pound bluefin tuna at auction on Thursday. The 74.2 million yen winning bid for the prized but imperiled species was the second highest ever after a record 155.4 million yen bid in 2013 at the annual New Year auction at the famed Tsukiji market. Kiyomura Corp. owner Kiyoshi Kimura posed, beaming, with the gleaming, man-sized fish, which was caught off the coast of northern Japan’s Aomori prefecture. His company, which runs the Sushi Zanmai chain, often wins the auction. This year’s purchase works out to $1,356 per pound. 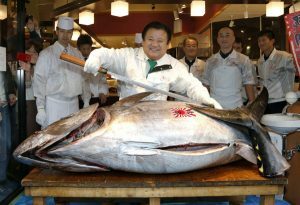 Japanese are the biggest consumers of the torpedo-shaped bluefin tuna, and surging consumption of sushi has boosted demand, as experts warn the species could go extinct. 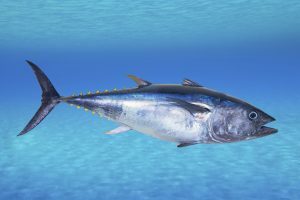 A report by the International Scientific Committee for Tuna and Tuna-like Species in the North Pacific Ocean last year put the population of bluefin tuna at 2.6 percent of its “unfished” size, down from an earlier assessment of 4.2 percent. The Western and Central Pacific Fisheries Commission tightened international limits in 2015 as the species remained under threat, halving the catch of bluefin tuna under 30 kilograms (66 pounds) from the average caught between 2002 and 2004. But overfishing has continued and in some areas bluefin are harvested at triple the levels considered sustainable. “This tuna is being fished at rates up to three times higher than scientists say is sustainable,” Amanda Nickson, director of global tuna conservation at The Pew Charitable Trusts said in a recent report. Pew and a dozen other environmental groups have called for a two-year moratorium on commercial fishing of the species. Thursday’s event is expected to be the last New Year’s auction at the world’s biggest fish market. It was supposed to be relocated last November to make way for a road needed for the Tokyo 2020 Olympics, but was delayed due to environmental concerns. Posted in Events, Finance, Food, Nature, News.